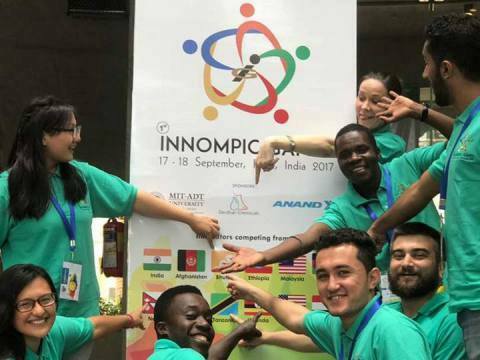 A team of 10 students from different countries of Symbiosis International University (SIU) took part in the World's First INNOMPICS, and intellectual Olympics for change makers held recently at the College of Engineering, Pune. 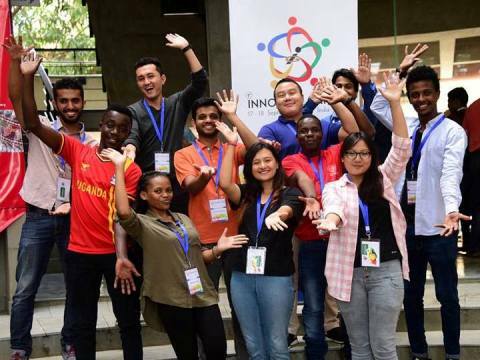 Tenzin Rabgay led the International Students' Team from Symbiosis. 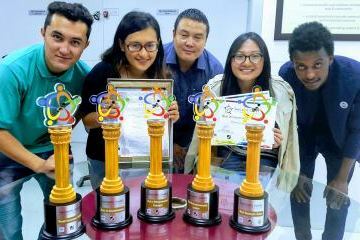 The International students' team received the following awards: Best Entrepreneurial Strategies, Best Entrepreneurial Leader, Best in Inventiveness, and Great INNOMPIC Team. 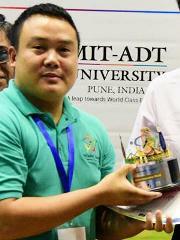 Tenzin Rabgay from Bhutan, a MBA student of Symbiosis Institute of Business Management, Pune was awarded the Mr. Innovation World award. 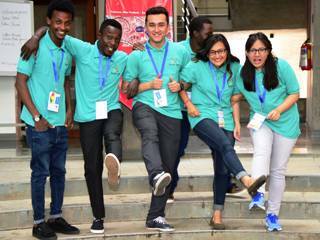 In addition, Jjunju Ibraham from Uganda, another student of Symbiosis Institute of Health Sciences received the Most Inspiring Actor award. 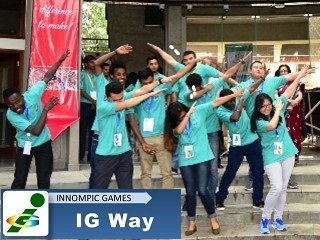 "The First World Innompic Games was a historical experience in my life. I perceive Innompic is about smartness competition and thinking solution along with future challenges simultaneously for optimizing options of our world for every one of us fairly. Innompic is a unique competition for me, because creators compete to change the World for anyone of us without considering private benefits and awards. 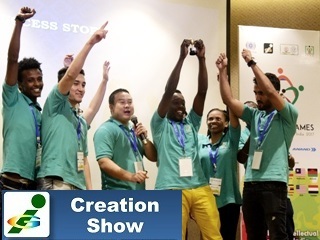 In our life experience, we might be familiar with a competition of defeating others and bagging awards; but Innompic is thinking beyond our own victory, business profit and the benefit of the group we support. This is the beginning of Innompic's journey to engage unlimited creators along with their sustainable solutions for leading our common planet. "Whenever we hear or see about things like games or competition we get to the conclusion of physical challenges or tons of competitors, who wrecks our nerves. 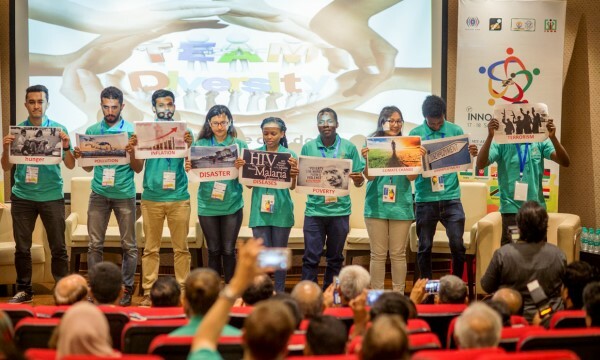 Yet the world’s 1st Innompic Games is not only different but a unique concept which enables each participant to grow and bloom in its own space of pollens. Being a person learning to blossom in this field of technicality I have stepped on to being more creative, intelligent, and zealous to be an innovative entrepreneur. 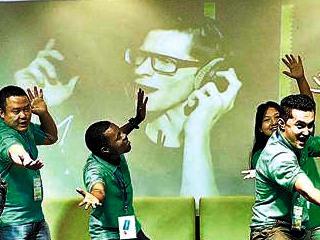 It was an enormous joy for me to be a part of this INNOMPICS. "It was a great insight on how to strategize and test a business plan with the help of Innoball simulation." 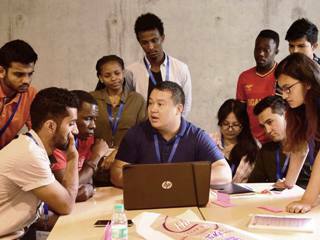 "An opportunity to lead a multi-cultural team composed of participants from 8 different countries which was an enriching experience."